and keeps the soil's turf in optimal condition. 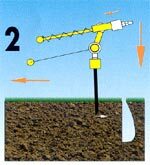 Using the hollow tines, the soil is prepared for surface fertilization. 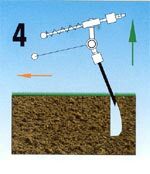 With the SELVATICI Aerator, the shape of the holes obtained is less influenced by the consistency of the soil. 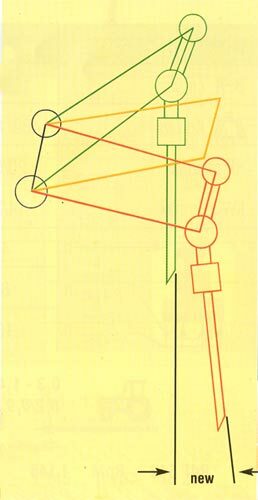 The use of the most modern technologies (all joints are on self-lubricating bearings) increases the life and allows the elimination of maintenance. 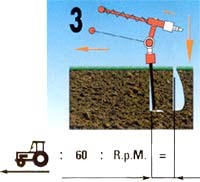 The low rear overhang facilitates lifting, stability and manoeuvrability of the tractor and reduces soil compaction. 3 point linkage Cat. I-II. High speed work is possible thanks to the solid three-speed lever gearboxes to increase hourly productivity and speed up your work. 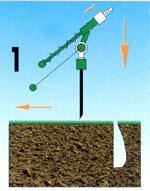 Depth control system with screw and graduated scale.